on Sat 14th Sept at lunchtime. 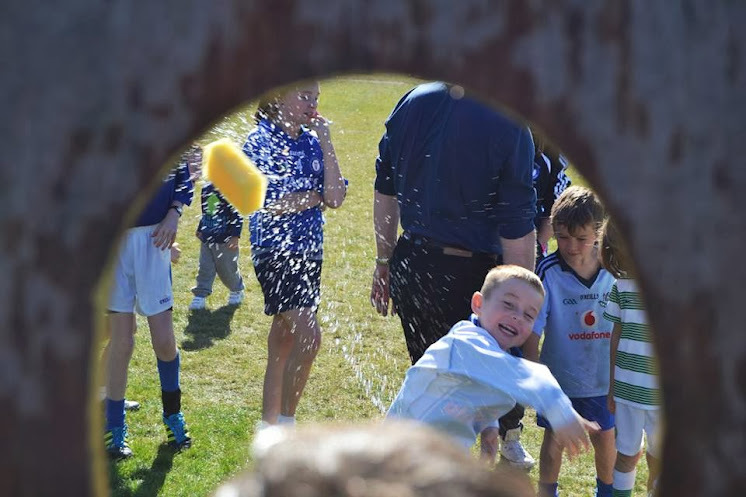 Most of Harps 40 juvenile teams in all codes were represented - Football,Hurling and Camogie playing all over Dublin in various leagues - and a fantastic afternoon of fun was had around the town and back at the club afterwards. Pictured is some of the fun and games during the solo run and on the pitch afterwards where the kids had a great time taking part in a variety of different games. This is a Major Fundraiser for the upkeep of the Juvenile Section as the season swings back into action after the Summer break. Players from the teams mainly ages 7 to 13 will be calling at doors in Skerries in the coming week for sponsorship. Lines cost €2 a line and all support will be very welcome.